Master Mazuma, your guide for eSports, is always excited for the Electronic Sports World Convention (ESWC). So we’ve prepared a guide to everything past and future for this elite eSports event and will continue to keep you up to date with news and developments as well as the best odds for ESWC betting. The ESWC was previously known as the Electronic Sports World Cup, but was actually more of a convention, as it has always been a place where you’d find pro gamers, fans, tournaments, technology presentations, parties and conferences. Though the name has changed from cup to convention, make no mistake: This is very competitive action and a must-watch event for eSports fans anyone interested in ESWC betting and eSports betting in general. Each year, qualifying events are held around the world and the right to represent at this level needs to be earned by beating the best. The first ESWC was held in 2009 with 358 gamers participating from 37 different countries and after a short pause due to the 2009 financial crisis, the event has grown at a staggering rate. In the here and now, the ESWC is held three to five times per year with the Summer ESWC recently having taken place in Bordeaux, France, on the 1st and 2nd of July 2017. Held at the Grand Amphithéâtre of the Palais des Congrès, Summer ESWC boasted 10,000m² of facilities for the pro gamers, developers and the public to intermingle, including three animated amphitheatres for a total of 1,800 seats and 30 hours of toe-to-toe live content. The ESWC Summer was produced by Webedia in partnership with SFR, OMEN by HP, Fun Radio and the City of Bordeaux. In fact, for those lucky enough to have been in the area, it was free and open to attend, subject only to free online booking. For those who were unable to make it, Master Mazuma, your guide for eSports and ESWC betting, is here to give you the lowdown on all the action. Let’s take a look at the major contests at ESWC in Bordeaux. This colossus of a freemium mobile strategy game by Supercel combines bits of card collecting, tower defence, MMOBA and strategy games. It always attracts a lot of interest at ESWC and is also popular with those partaking in ESWC betting. The tournament was presented by Trapa and featured the Clash Royale stars Surgical Goblin, Malcaide, Nemseisei and Ouahleouff. Yet a new star emerged as this year’s Clash saw Kilua beat Azilys, one of the favorites, 6-2. That Kilua is only 16 years old is sensational and definitely makes him a name to watch for future ESWC betting. For those who don’t know the game, now would be a good time to get involved having just witnessed the pros at work. Clash Royale is an easy game to pick up but difficult to master. You’ll need a mixture of patience, situation analysis, timing, game knowledge and good old luck to become a master at this hugely popular game. For instance, patience is important for elixir management skills. You need to be able to wait until the point that you need to spend the elixir, as timing is everything. Situational analysis is a must of this game as your required to read the situation before you play your card. A bad read or hasty play could cost you the game. Luck does factor in Clash Royale, perhaps a little more so than some other eSports titles, as a bad hand at the start could really scupper your chances of taking a victory. Although luck is a key feature, game knowledge can be used effectively to become a Clash chief. Reading Master Mazuma guides and watching the pros will help you with ESWC betting, no matter which game or team you’re betting on. There’s really no better way to learn than watching the pros in action, watching their tactics and then trying to put them into your own gaming style. A mammoth of ESWC betting and the gaming world, LoL is an MMOBA developed by Riot Games and follows the freemium model of pricing. 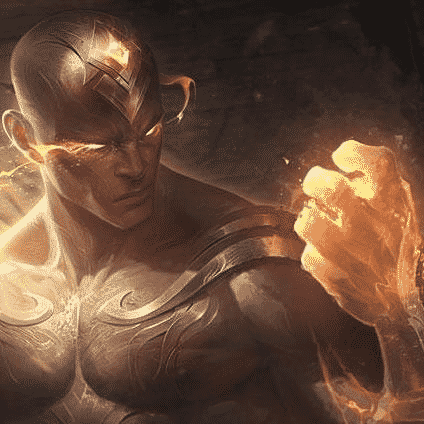 Taking on the role of a summoner and controlling your unique champion with special abilities to battle against a team of other champions sounds simple, but as ever, the devil is in the details. This was the first LoL ESWC tournament in France and Domingo and the Stream Team were there to see what Bordeaux had to offer. LDLC left ESWC surprise winners and €9000 richer after they saw off Gamers Origin, Team Millenium and Grosbill Esport to take the crown. It was clear that all the player at ESWC put in ridiculous amounts of practice hours to earn their position at the top of their game. This can be true of all games, but with LoL mechanical based bits of the game like last hitting creeps, are super vital, so you need to put in the game time. You’ll also need to experiment and move through the mechanics that are special to various champions in order to have the skills and tricks to perform at the highest level of ESWC betting on League of Legends. Although a requirement of LoL is being precise and having fast reaction times, which should be honed through training on other games, game knowledge is also great. There are a number of scenarios and factors that influence the outcome of a game and the greater experience you have, the more likely you are to recognise a scenario in which you can make the proper play. Just like Clash Royale, you’ll need to refer to Master Mazuma guides and watch the pros at work, not just cheering a winner, but making a mental note every time you spot an eventful moment that turned the contest. It’s also important to remember that LoL is a team game, so a good understanding of how these different pros work together as a team will take you a long way. Other tournaments that took place at ESWC and were open to ESWC betting were Street Fighter V, Rocket League, Krosmaga and FIFA. Street Fighter V fans paid particular attention to the words of Ken Bogard, Lam Hua, Quarante and Evans as four of the best versus fighting game casters around. With Master Mazuma as your guide for eSports and your preferred eSports sportsbook, right here is where you’ll find all the odds and information you need to be ready to take part before the ESWC betting kicks off once again, as part of Paris Games Week from the 1st to the 5th of November 2017. Preregister with Master Mazuma now and net awesome benefits such as exclusive welcome offer with free bets, automatic upgrade to VIP Level, custom Master Mazuma branded gear and enhanced offers on the biggest events.